The Director’s Circle ($10,000) are transformational donors committed to the preservation of the television and broadcast industry’s most cherished and distinguished award. Each year, Director’s Circle members celebrate the annual Peabody Award winners at the red-carpet awards ceremony in New York, as well as through special events. 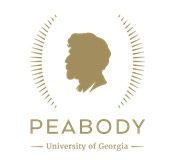 The Friends of Peabody group allows University of Georgia alumni and fans to support the vital work of Peabody and the Peabody Media Center on an annual basis.